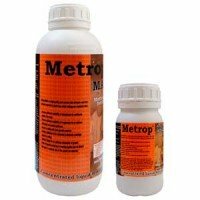 Metrop fertilizers and boosters are formulated under higest quality standards, allways targeting in offering a better quality product. 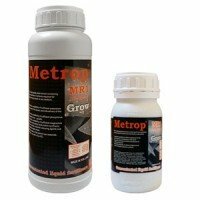 Metrop products are highly concentrated, and are suitable for growing in all kinds of mediums and substrates: soil, coco and hydroponics. All products, for vegetative and flowering stage, manufactured by Metrop are biological origin, and include the maximum nutrients quantity uptaken by plants in each phase of growth. Metrop, in collaboration with specialized laboratories, has developed products with a high concentration that give solution to specific and general problems. As Metrop products only use first quality raw materials to produce its nutrients and stimulators, these compounds are Cadmium free, don't include Chlorine, nor other heavy metals. Thanks to its complex formula, the final grower obtains a healthier and tastier product. 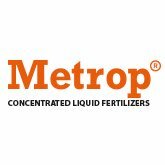 Metrop MR-1 is a concentrated liquid fertilizer for growing stage. 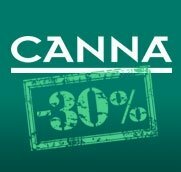 This biological nutrient for growing phase is formuled with all macro and micro nutrients needed to get best yields in every crop. The MR1 Metrop is highly concentrated, and formuled from the best possible quality in raw materials, what allows a better absortion and better ending product. Metrop MR-2 is a flowering fertilizer, with biological origin, so concentrated, with all necessary elements for an explosive bloom. MR2 Metrop it's been developed to get maximum yields per crop. Thanks to the high quality raw meterials used in MR2 Bloom, Metrop got a fertilizer with hig proportions of NPK, without interferences between them. 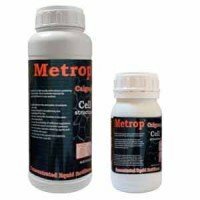 Metrop Calgreen is a biological origin fertilizer formuled with Calcium and Magnesium, two key elements for a proper evolution of plants indoors and outdoors. Calgreen increases the size and strenght of cell's walls, and also increases up to 80% the protection levels against mostly fungi and microbe illness. Metrop Root+ is a powerful root stimulator, very concentrated, that works thanks for being a great quality activator for amino-acids and vitamines. 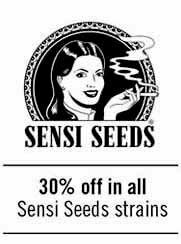 Root+ improves all growing processes of plants, making them work optimally. 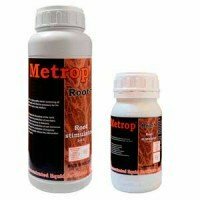 Root+ by Metrop not only works for roots, it also acts in leaves, stems and ezyme production. Thanks to its composition, Root+ has a quick effect, specially in plants with high levels of stress. 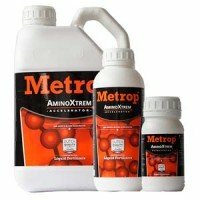 Metrop AminoXtrem is a powerful and concentrated flowering stimulator. AminoXtrem are high quality activators for aminoacids and vitamines, thanks to the quality of materials used for its formula, the use of AminoXtrem by Metrop is easily visible in plants health and yields, improving quality and quantity of ending product. Metrop MAM is a biological fertilizer specially developed to solve all needings of mother-plants. MAM contains all macro and micro nutrients needed by plants that will stay in vegetative stage for long periods. 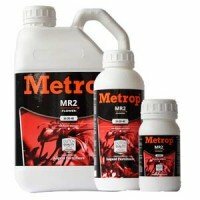 The Metrop Start Package is a compelte fertilizing and booster kit for the whole cycle of plants. 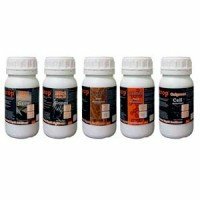 Thanks to its high quality, and because being composed by all nutrients and additives needed, the Start Pack by Metrop is a great solution for all those growers looking for a complete nutrient kit, and very concentrated. The Start Package Metrop is available in two sizes: 250ml and 1L. Metrop Additive is an enzymatic complex that promotes plant's root system health and vitality. The use of Metrop enzymes helps plants in their developement. 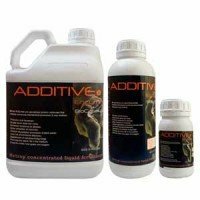 Additive by Metrop helps promoting decomposition processes of dead organic matter, to make it possible to be uptaken, or get rid of it definitively.